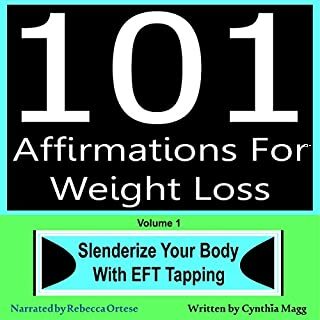 The weight-loss declarations in this EFT tapping audiobook are meant to transform your state of mind. Continued positive reinforcement allows you to tune in to a higher frequency and focus on swiftly and easily achieving your goals. 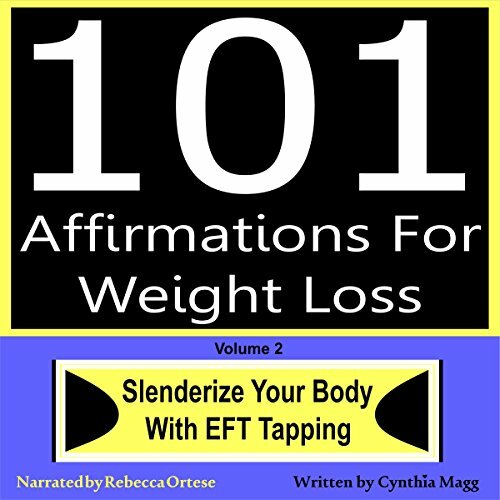 Affirmations are needed in a three-to-one ratio with the "even though" clearing phrases that are the basis of EFT tapping. EFT helps you get the resistant parts of your subconscious mind fully on board so that you'll keep celebrating yourself and your accomplishments. To reveal the more slender version of you that lies just beneath the surface, do one tapping script a day - or go at your own pace. Each script only takes about three to five minutes. 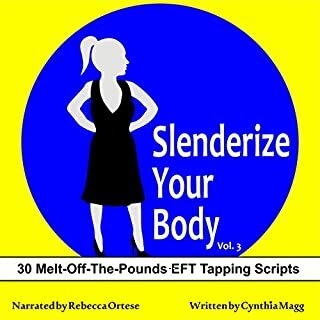 Yet there is a lot to chew on in each script, so give yourself the time to digest it by choosing the speed at which you want to devour this audiobook. To reveal the more slender version of you that lies just beneath the surface, do one tapping script a day -- or go at your own pace. Each script only takes about three to five minutes. Yet there is a lot to chew on in each script, so give yourself the time to digest it by choosing the speed at which you want to devour this audiobook. 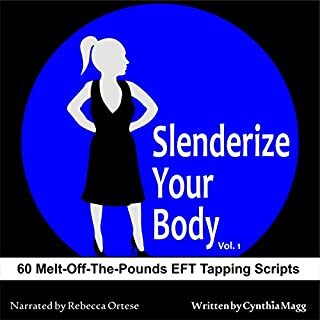 This book provides you with 60 EFT tapping scripts to melt pounds off for good and reveal the more slender version of you that lies just beneath the surface. 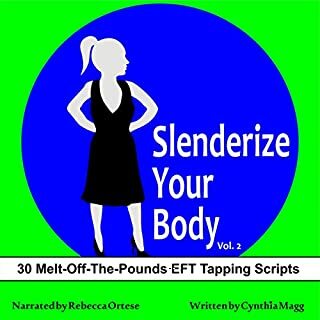 Each script takes less than three minutes to complete and has been designed to safely remove and easily transform the conscious and subconscious roadblocks in the way of reaching your weight loss goals. 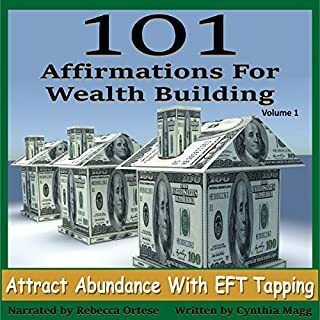 The wealth-building affirmations in this EFT tapping audiobook are meant to provide you with positive reinforcement, which will allow your brain to tune in to a higher frequency and focus on swiftly and easily drawing resources and prosperity to you. EFT tapping is an energy-altering tool that ensures that the words you declare are going into the deepest cellular core of your being and transforming your mind-set so that abundance consistently flows your way. On your journey toward the finish line, you will feel inspired and motivated to confidently declare to the universe just what it is that you want. Success is within your reach! The power to transform your life and shrink your waistline is in your own hands! Please note: This is not LOA. 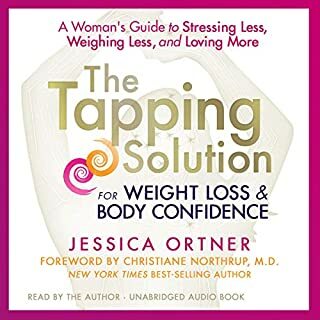 This is an EFT tapping audiobook which incorporates energetically rebalancing your body while you shift and reprogram your mind for success. It involves tapping on the acupressure points on the body and is meant to be used in conjunction with the Slenderize Your Body series and the book Getting to the Heart of the Platter. A timely publication. It has been happening for a long time... there is more and more information about the weight problems of our nation. This provides information/actions to help, in a well-read book.